for photoshop cc 2016 and old version you can only use layered psd. Mixing font is my latest handpainted brush font, , by using high resolution brush stroke images with incredible definition, instead of the traditional vector format.font to the next level with a hyper realistic font that truly looks, crude typeface uses brand new technology that makes way for more authentic looking fonts and is sure to grab the attention of customers and designers a like. 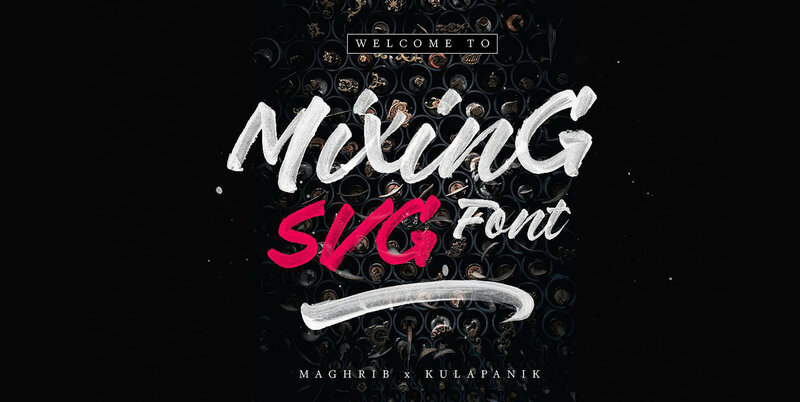 Mixing font. Suitable for digital lettering, prints, logo, poster, t-shirt, graffiti, packaging and applicable for some type of graphic design.